There are a variety of upgrade options available to you that will dramatically improve your home’s comfort level, air quality and overall energy efficiency. There are a variety of different HVAC Accessories to choose from. These Services are optional but they can make a big difference in your comfort. When you are ready to take your West Metro, Wright County, and Buffalo home’s comfort to the next level then give DeZiel Heating & A/C a call. Relatively low humidity within a home in Virginia can cause just as much discomfort, if not more, than too much humidity. 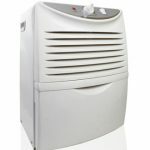 At DeZiel Heating & A/C, we offer whole house humidifiers and portable humidifiers to help our residential and commercial clients address their dry air problems. Our certified air quality experts can help you choose and install the best humidification system for your needs and budget. Our air cleaners offer quality air filtration so you can be sure the air your family is breathing is clean and healthy. Let our West Metro, Wright County, and Buffalo indoor air quality specialists help your home or business to get cleaner air through the installation of a air cleaning systems from top rated brands at competitive pricing. These devices are great for keeping indoor air pollution and bacteria from circulating through your HVAC duct work, especially if a UV light is part of the setup. 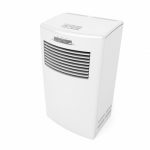 At DeZiel Heating & A/C, we can install small air Purifiers for bedrooms, or whole-house air Purifiers to manage the allergens throughout your home. We’ll help you select, install, and maintain your new air purification system. 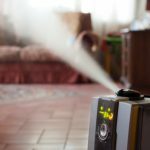 We can install a small and unobtrusive air cleaning machine to filter dust and germs, keeping the air within your West Metro, Wright County, and Buffalo home fresh and breathable. These devices are specifically designed to absorb or extract harmful contaminants from the air, leaving only safe and breathable air behind. We heat or cool our homes to keep our family comfortable. But, a single thermostat in the living room can’t always keep the upstairs cool or the basement warm. There are options available to keep your entire West Metro, Wright County, and Buffalo home at a comfortable temperature all year round. A Zoning System will allow each area of your home to be controlled with a system of dampers and thermostats. 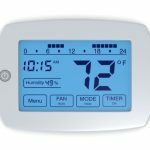 We a Zoning System you can command the temperature of your home to be comfortable for everyone! 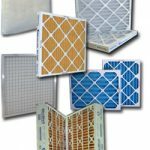 Every HVAC unit and most purifiers has a place for a filter. Filters are one of the easiest ways for you to control your own indoor air quality. At DeZiel Heating & A/C we understand the importance of protecting your family and your energy consumption, and that is why our certified technicians are trained and experienced to assist you with your air conditioning filter needs. If you are looking for HVAC Accessories then please call 763-684-3965 or complete our online request form.